The problem that communication can solve is targeting more women. The desired target audience are infrequent users and competition’s users (I.E. Red Bull) Primarily: Females 18-30. A woman who is either a college student, athlete, mother or even working a desk job also have active lifestyles. Sometimes they just need an extra boost to get through a long day. Brand personality would consist of strong, sportive, and passionate. The brand image would consist of feminine, stylish, and fierce. Our competitive advantage is we have low calories, sugar-free, and available at most retail locations. 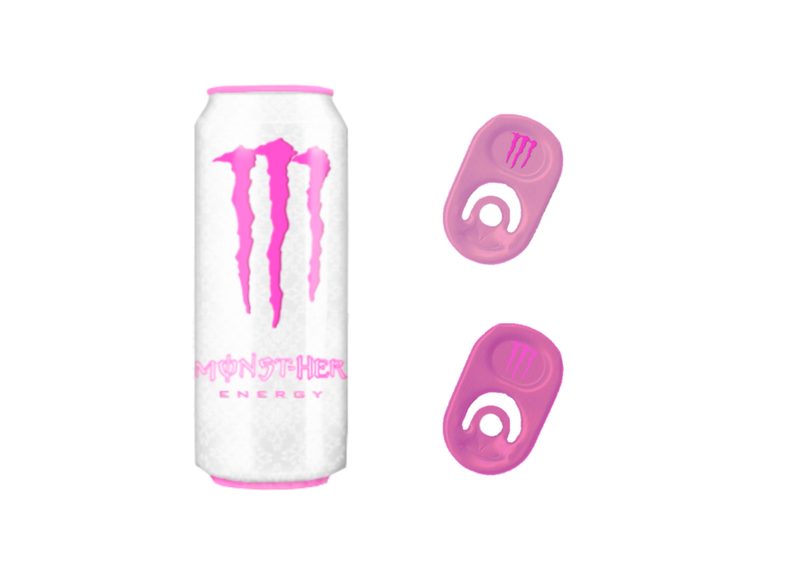 Make Monster Energy Drink a more approachable product to consumers outside their target audience. With a little extra boost, options are limitless for her. 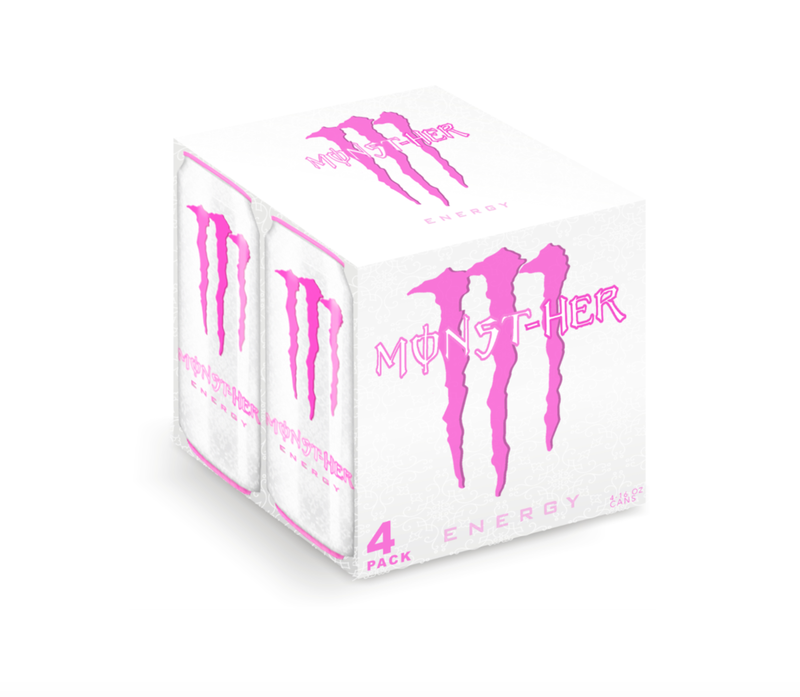 Monster Energy is one of the top energy drinks since 2014. 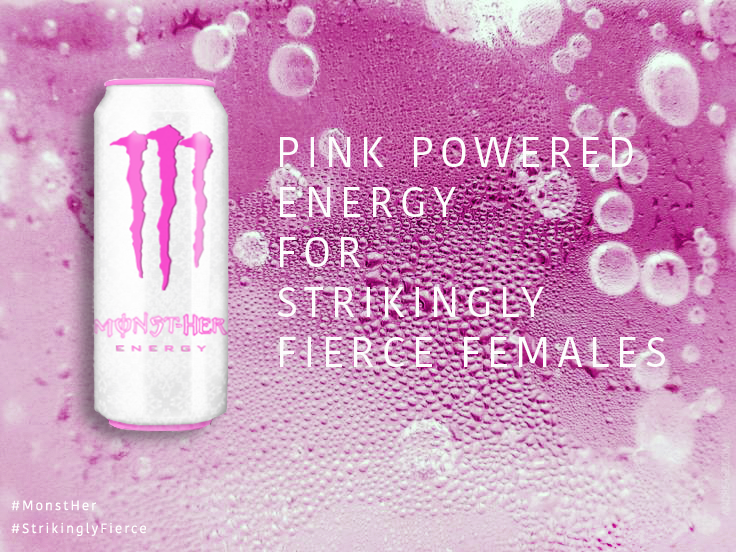 Monster was created to give energy to people with active lifestyles primarily men. Active lifestyles would be the direction but it will open the door to woman. Making an emphasis on a milestone in a woman’s life would be the best way to stimulate the desired response. Since our age is 18 to 30 we could show various stages of life or focus on a critical stage in a woman’s life such as graduation, a promotion, making it to the top of a mountain, etc. The visual is a major role in the success of the campaign. Social media, magazines, and public transportation banners would be the best places to spread the message. SUBJECT: Analysis of 3985 N. Milwaukee Ave. & 2375 N. Lincoln Ave. This memorandum presents an evaluation of both potential properties–3985 North Milwaukee Avenue and 2375 North Lincoln Avenue; providing the dominant local market determinants, for each respective neighborhood, that influence real estate investment recommendations for commercial development and redevelopment. Possessing a clear, extensive understanding of the existing demographic and economic conditions is an essential step toward formulating an effective and successful plan beneficialto both the investors and each local market addressed in this memorandum. Also addressed below is the most current information on economic and real estate conditions for both neighborhoods. Site one, 3985 North Milwaukee Avenue, is located on the northwest side of Chicago–a historic shopping district and dynamic retail trade area, approximately one mile west of of the Kennedy Expressway. The property offers high visibility with heavy drive by traffic as the main intersection is Irving Park, Cicero, and Milwaukee. Within a one mile radius: the population is 27,803 with 10,567 households, the average age is 35 years old, the average household income stands at $71,377 as of 2015, and 69.1% of the population is white alone. In regards to tapestry reports, 43% (4,534) of households (the majority) fall within International Marketplace neighborhoods, typically consisting of: married couples with children, an average age of 32, employed in service occupations (especially food service and building maintenance), with no high school diploma, an average income of $41,000, ethnically hispanic, living in single-family high density apartments, whose average household budget index falls roughly 20% below the national average for expenditures (housing, food, transportation, apparel, etc. ); they are hard-working consumers striving to get ahead, but style and specialty goods/groceries are still important to them. Following close behind, at 33% (3,533), are those households categorized as City Lights: caucasian, married couples, with an average age of 39, employed in service and professional occupations, with a college degree, living in single-family multi-units, and have an average income of $60,000. City Lights are price savvy, but will pay for quality brands they trust. They spend an above average amount on expenditures, but seek out deals on brands they like. Site two, 2375 North Lincoln Avenue, is located in the heart of Lincoln Park, kitty-corner to the main intersection at Fullerton, Halsted, and Lincoln. This neighborhood is much more densely populated with more high-rise apartments, offering numerous retail and restaurant options; and because of this, the three rings around this site are based on drive times, at increments of 5, 10, and 15 minutes. Within the 5 minute drive time radius, the neighborhood population is 66,205, with 34,860 households and 22,163 of them being renter occupied. The median age is 30, 85.9% of the population is white alone, and the average income comes in at $123,113, with an average income of $65,648 per capita, as of 2015. In regards to the tapestry reports, 54% (18,988) of households are those known as Metro Renters: singles, a median age of 32, employed in professional and management occupations, received a college degree, are predominantly white, and have an average income of $52,000. They are well-educated consumers with many still enrolled in college; they typically use public transportation, taxis, walk, or ride bikes in order to get around the city; they are known to be interested in fine arts and strive to be sophisticated; and, they prefer environmentally safe products. They spend about 10% above the national average on expenditures, especially food and housing, and prefer to shop for groceries at places such as Wholefoods and Trader Joes. Again, following close behind at 39% (13,453) of households, are the demographic known as Laptops and Lattes. For site 1, I would recommend some type of modern, but moderately priced, grocer; possibly a place that catered to all needs: food, pharmacy, wine and liquor, household items, but also had a more upscale dine in eatery. The neighborhood is lacking a grocery store, and majority of the market, although they do tend to spend consciously, style and good food is important to them. For site 2 I would recommend the new Wholefoods establishment, Wholefoods 365. It is smaller and more moderately priced, but still trendy, healthy, and organic. At first glance, based on their numerous, extremely successful, previous joint projects that had resulted in their cohesive, trusting, and well-built relationship, one would expect that when the Leo Burnett (LB) advertising agency and Ontann Beauty Care (OBC) had decided to join forces yet again on a new project, that it would’ve been set-up for a very good chance of success. However, quite the contrary. Due to lack of stable leadership and issues regarding structure, communication patterns, team identity, and information sharing within the LB & OBC Forever Young campaign, the LB global advertising team struggled to function as an effective and unified team. The formal supervisor is responsible for assigning and managing their workload and conducting performance reviews. The team leader’s responsibility is to manage the project, ensure the client is satisfied with the progress of the project, as well as build a strong and affluent relationship between the client and the agency. The team leader also provides input on other team member’s performances during reviews. Employees typically work with two to three brands for face-to-face teams. Therefore, if an employee is working on three brands, he/she reports to three supervisors and receives performance input from three team leaders. If a member’s performance is notable, it will be well-known amongst the staff. Having a variety of appraisals could be helpful as well. However, if a member experiences conflict with even just one supervisor or team leader it can greatly affect their overall review. Leadership at LB is inconsistent on both a formal and informal level. While the intentions are good and the culture is one of camaraderie (O’Neil, 2003: 3), there are too many reporting lines for employees, too many people giving input on performance evaluations, and too many (although simultaneously too few) lines of communications. One of the major problems with leadership stems from these reporting lines. As seen in Exhibit 3, employees assigned to one project are responsible for informal reports to everyone else they are working with, as well as formal reports to their team leader and their own formal supervisors. While communication is a strength, this team is suffering from a communication overload, which causes confusion as well as lack of connection. Information is not being transmitted seamlessly to leaders, and often has to be re-explained because there are too many stakeholders (O’Neil, 2003: 10). With this many people not following protocol, as well as having stakes in others’ performance evaluations despite not being their formal boss, it becomes difficult to speak up about issues, thus creating an environment with leaders and decision-making processes that are much too centralized. Toronto shared responsibilities with London. However, in the long run this collaborative effort created more problems than solutions. Difficulties in communication and each team’s work evolving in different directions led to many conflicts; the virtual aspect of London and Toronto’s relationship contributed to this. The high turnover rate within both teams was indicative of their dissatisfaction as well. Challenges also came into play with decision-making authority. Decision-making on teams is structured as either centralized or decentralized. In the early stages of a project, decision-making is centralized, or made from the top typically by an account director; and later on, the decisions become decentralized, with middle and lower level managers making decisions. Whether or not to decentralize the Canadian team was a decision that Janet Carmichael, the LB brand team leader and global account director, struggled with when these processing problems became apparent. After the preliminary launch Forever Young, the results in Canada were poor and Carmichael was hesitant to decentralize authority to them. If she decentralized the team and gave Toronto’s team more creative control, they would likely pick their own concepts, which she felt would be wrong for the brand and a risk to the company and global team overall. However, if the team remained centralized, the team itself may not last much longer with both internal relations, and managing the current budget–although both creative ideas would have an equal chance of being picked. Yet, even with the decision-making structure in place, the London office was able to veto any decision made. This speaks to the greater leadership problem of one person making a decision to centralize or decentralize a team to begin with–it should never have gotten to the point of leaving it up to just one person. Even by decentralizing the team, Carmichael is still maintaining a centralized role. From the start she actively made the choice to allow the team to pick their concept, so they weren’t fully making their own decisions. It seems as though keeping the team centralized in London actually allowed for more creative control overall. Since the groups were working from their respective offices, their communication patterns are important to how they in turn work together to create an effective launch for the product. For the kick-off meeting at the LB’s Toronto office in February 2000, many senior management from LB’s London, Toronto, and Taipei teams, as well as those from OBC, were in attendance. It was important for the teams to have this meeting face-to-face because it allowed them to be on the “same page regarding the new brand and the status of the launch process” (O’Neil, 2003: 6). The communication patterns for the LB’s Taipei office were positive. The Taipei team would regularly update the other LB teams and OBC’s London team. Additionally, they would call and email the London offices, as well as holding video conference meetings every two months (O’Neil, 2003: 8). These specific patterns are what allowed Taipei’s launch be as successful as it was. In contrast, LB’s Toronto and LB’s London teams had to work together and had negative communication patterns. Davids and Forin mainly communicated among the teams and then it flowed to Carmichael. However, Carmichael received an email from Watson that had been sent to Davids regarding their team not being included in giving off their ideas, stating, “we weren’t asked for our opinion initially. In the future, if possible, we’d like to have the chance to input on the photography” (O’Neil, 2003: 9). Thus, they faced other challenges like presenting the three-panel for the direct mail idea; explaining the concept took up 45 minutes of the one hour virtual meeting and one employee stated that “by the time we actually got around to discussing the layout of the piece, everyone on the call was frustrated” (O’Neil, 2003: 9). Also, the groups felt many instructions were inconsistent and unclear. Carmichael repeatedly had to explain components from the project to senior management and “wished that the members of LB’s Toronto team would just follow the team communications protocol” (O’Neil, 2003: 10). After the Canadian National Launch, the groups’ communication worsened. The tension levels were high and the launch did not have positive results like Taipei. For the recovery plan for Canada, the LB’s London and Toronto teams’ communication “became less frequent, less candid, and less formal” (O’Neil, 2003: 12). Toronto’s creative director, Watson, said, “our connection to the creative teams and the global creative director in London was distant at best, and now it’s non-existent” (O’Neil, 2003: 12). Carmichael tried frequently to have face-to-face meetings, so instructions would be clear and everyone on both teams could share any information or concerns. The teams would have videoconferences, phone calls, and visits on the London or Toronto offices. Later, the teams relied on only emails and phone calls to communicate. Carmichael noticed that because the team was no longer working on a fully cohesive level, the communication became less formal and “had lost the feeling of being part of a global team” (O’Neil, 2003:13). Cohesion refers to the degree of positive attraction and connectedness an individual member of a group feels toward their group as a whole. However, before a group is able to reach an effective level of cohesion, they must develop a sense of dependability and trust within each other. And, especially when the teams are geographically dispersed and majority of the communication is virtual–attempting to work together toward one goal–the stronger the trust and the earlier it is developed among all members, the better. The first instance where we see a particular problem arise in the LB and OBC Forever Young campaign that has a significant impact on the overall project’s lack of cohesion is the way in which the teams were formed and structured. Yes, the individual teams were relatively small–consisting of four to six members–and each made-up of individuals who were definite experts within their field with clearly identified roles. However, the large number of groups and each of their different geographical locations–London, Toronto, and Taipei–created an almost tangled web of teams with too many reporting lines, making it all the more difficult for them to communicate, coordinate, and collaborate effectively, which in turn lead to this initial lack of cohesion. The next occurrence where we see cohesion and trust issues originate is when their communication begins to dwindle. Although at first, throughout this process, the teams regularly updated each other on its progress by means of videoconference calls, email, and occasional face-to-face meetings, “the LB Taipei and Toronto teams had contact with each other only during the global team videoconference meetings held every two months” (O’Neil, 2003: 8). And again, especially because there were so many different teams focusing on separate tasks in various locations, in order to develop as well as maintain cohesion and trust, the communication between the main reporting lines needed to be overly explicit and overly frequent from the get-go, which it wasn’t. Shortly thereafter, the creatives in LB’s Toronto team began developing the direct marketing materials, and simultaneously the creatives in LB’s UK team began the print advertising. “The two sides’ creative work evolved in different directions, but each side hoped that the other would adapt their look and feel...eventually...LB’s Toronto team told its London counterpart to ‘figure it out,’ and they would follow London’s lead” (O’Neil, 2003: 8). Not only was there a complete lack of communication between the two teams, which makes it nearly impossible for any team to work cohesively, but there also seemed to be no mutual feelings of needing and/or wanting to reach out and share their ideas and concepts with one another. At this point both LB’s Toronto and UK teams weren’t sharing common goals or building trust and cohesion, and as a result, they began to lose sight of their group identity. In regards to sharing information, there are many benefits attributed to actively implementing this process; one being that it enables members to process information effectively. After its establishment, LB was driven to fulfill its goal to build brand relief, produce creative advertisement, and reach customers in a memorable way (O’Neil, 2003: 2). Team members worked in face-to-face teams and were assigned a project team leader who would assign and manage work. Offices were social as members discussed projects with colleagues and continued after work hours. Also, OBC’s expansion required collaboration with other LB offices on a global level. Together, LB and OBC communicated on consumer research, packaging samples, and market exploration (O’Neil, 2003: 5). To ensure all teams understood the creative concept goal, the teams communicated often through face-to-face meetings, video conference calls, email, and occasionally, their brand leader, Carmichael, and global creative director, Annabelle Manning, traveled between the three cities. Although, the teams were geographically dispersed, preparation for the Forever Young launch required them to regularly communicate their progress. Once teams began creating television and print ads, information sharing was challenged. A communication plan described as “on-brief” was introduced and it would assign communication structure for the company (O’Neil, 2003: 8). The plan going unnoticed/ignored, justifies the reasons for the changes in information sharing. Teams held different views on the marketing materials relying only on hope to pull it all together. Communication that once flowed freely, now fell heavily between the London and Toronto teams. Soon after, this primary channel of communication became less frequent and almost non-existent. Also, Manning, who was often on the road, was hard to get in touch with (O’Neil, 2003: 9). The increased use of technology left members feeling isolated from the global team. With adequate information sharing virtual teams work interdependently, establish a common objective, and work cohesively. However, changes in information sharing in the LB team caused inconsistencies and jeopardized their brand and relationship with OBC. In the end, Carmichael found that the root causes of the team’s processing problems stemmed from personnel changes, lack of communication, and budget issues; yet she was determined to find a way to structure the global team and salvage the Forever Young brand in order to maintain a positive relationship between LB and OBC.